hi ntr iam ur big fan. ntr is top hero in tollywood. NTR has acted in 254 movies in all and 15 films in one year i.e 1964. He acted in 42 mythological films and though he first performed the role of lord Krishna in Sontha Vooru , the role he played in Maaya Bazar earned him all the glory. NTR played dual roles, performed three roles in Daana Veera Soora Karna in 1977 and in 1997, he played five roles in “Sri Madvirata Parvam”. Later, through his own establishment – NAT Productions, NTR produced his first movie Pitchi Pullaiah in 1953 which couldn’t click but the next movie Todu Dongalu was a hit and won the “Best Movie” award from the state government – AP in 1954. NTR was given the Best Actor award for the role he played as “Krishna Devaraya” in Tenali Rama Krishna and a few of his films ran for 25 weeks in the state while two of his movies Adavi Ramudu and Yama Gola celebrated “Golden Jubilee” having run for 50 weeks. One of NTR’s films Lava Kusha ran for 75 weeks and broke all the previous records in the Tollywood and is a record still intact in the books. 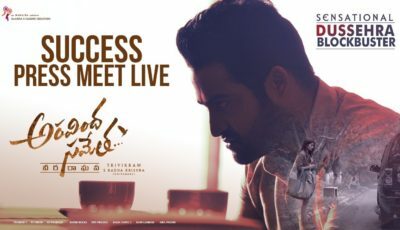 As an actor, producer and director – NTR has stood atop. NTR, the one man who has a lot of faces to his personality, was born on 28 May 1923 in Andhra Pradesh. NTR, as he’s known to the world, needs no introduction at all as he still lives in the hearts of the people, especially the people of the state, Andhra Pradesh. For the contribution he’s given to the state and the standards set are just unforgettable and quite remarkable that the people are always grateful to him. 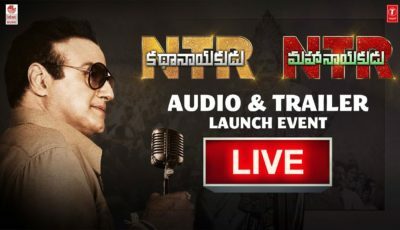 First, NTR stands unique as an actor. The mythological roles he played prove his outstanding acting capabilities that one can never expect any other actor to act and live in those roles as NTR did. As it comes to his socio-fantasi films, his first movie was Mana Desam in 1949 in which he had a small role but Palleturi Pilla in which he played the leading role could bring the hero out and the movie itself was a smash hit. keka anna… i lov u so much……please once call me anna…….my no 9000341968…………. Hai anna adurs audio super hit alaage cinema kooda super duper hit. anna ramudu character chesavu alaage yamudu character kooda chesavu mari krishnudi charater eppudu anna.2010 biggest hits adurs and brindavanam may be shakthi. NTR i am waiting for ur film. total tollywood lo ne nuvvu No.1. eduru choostunnam allage balakrishna garitho eppudu cinema chestavu. chestunnarani appudu aa N.T.R dance chesadu ippudu e N.T.R dance cheyyalani undi.mari pelli eppudu annaaaaaaaaaaaa…………..
HOW DO U ACTING IN ADHURUS? we all r waiting for the release……. ASSET OF ANDHRAPRADESH & TDP. this time we again n again rock the tollywood with adhurs.yeeeeeeeeaaaaaaaahhhhhhhh! No one can stop young tiger. No body will reach him. stars appudapuu merustai kani ratnalu lifelong merustune untai……….. anna adurss breaks all records……. waiting for ur film.ntr should have a body building.almost all the telugu film stars had wellbuilt body. so we suppose that he also had a body. annaaaaaaaaaaa……..nuv kekaaaa.dance kummeyali mana cinemalo……. future legand&future chief minester is our young tiger N.T.R. nandamuri antene andariki adurs kadu kadu bedurs. anna mana im waiting for yr adurs………. nuvvu keka anna!ne cinema kosam memu veyi kallatho waiting.state records anni ‘audors’ tho bedurs. hai Anna adurse will be adurse 2tollywood with in a less days ,we r waiting fr ur great performance. We are Quickly Complet the picture…….